Dusting any area stuffed with knick knacks. While doing work in Puerto Rico last week. There were times I was 100% present, fully focused on the world in front of me. I was where my feet were. Once. And there was a time I never thought I’d have an answer like that! I’m inspired by the Puerto Ricans’ determination and spirit. They’ve lost so much, but they know with God and each other that Puerto Rico will rise. 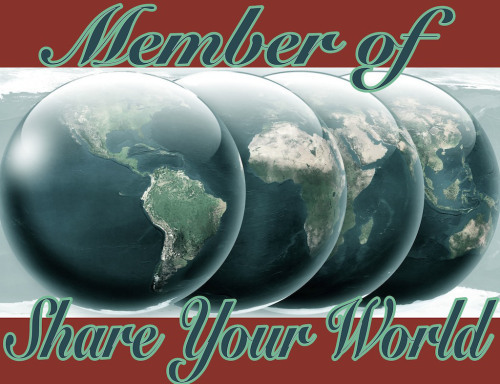 Cee’s Share Your World welcomed me back to blogging today. Previous Previous post: when did the School of Hard Knocks become first prize? I’m so glad you could see, feel, touch the power of people coming together. That must have been special. Thanks, Cee. It surely was. Oh my gosh, that might be my answer if I ever cleaned my windows!! Bwahahahaha! “Once. And there was a time I never thought I’d have an answer like that!” Great answer! I almost fell over when I realized!